Over one year passed since I have found the problem which tone control　of my guitar can not be worked. The article I wrote before is here. The problem is the tone control can not be worked. Now it is time to repair my guitar because strings of my guitar reached the end of one's usefulness,] so I tried to repair the my guitar when I changed strings. I doubt the 5 way switch which controls each vol & tone for each pickups. 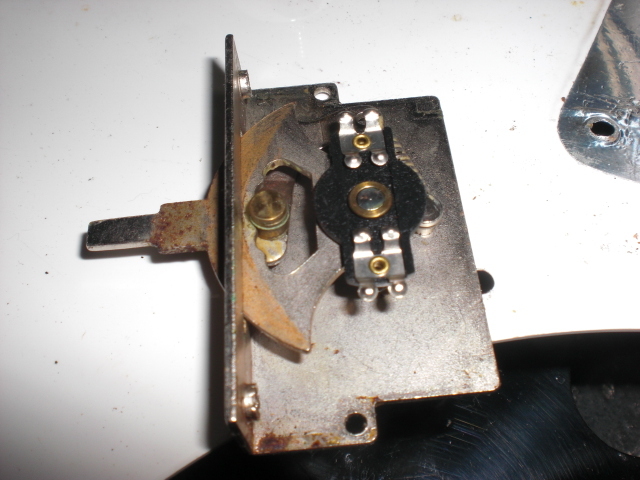 I dismounted the switch, then I opened the 5-way switch. 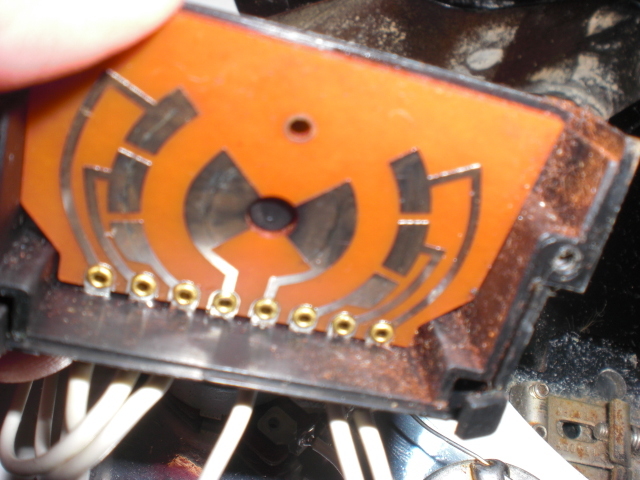 Several contacts were very rusty, So I cleaned up the several contacts. Now , My guitar is fixed. I played old love using my guitar which has been fixed.